Talk about consistency and discipline, Hanson & Doremus Investment Management in Burlington, Vermont has not missed publishing and mailing their monthly investment newsletter Thoughts to their clients and key prospects since 1995. I know this because Paw Print & Mail has had the privilege of being their printing company since that time. A newsletter is a cost-effective medium for building and maintaining regular contact with customers and prospects. In its 2013 B2B Content Marketing Benchmarks, Budgets and Trends study, the Content Marketing Institute found that 78 percent of respondents used newsletters. Research firm Nielsen Norman Group asked respondents how they preferred to receive company updates, and 90 percent cited newsletters, compared to 10 percent for social media. Developing a newsletter program with a solid audience will prove to be a very important marketing asset for the duration of your company. Think about how on any given website you only have a few seconds to capture the attention of a visitor before they are potentially gone forever. Developing a strategy to attract new customers and retaining existing clients is crucial to successful marketing. Maintaining a company blog is a great way to get your personal message out to many viewers. But a blog is a passive effort, meaning a user must navigate to it in order to get the message. Transforming a passive blog into a pro-active newsletter program is a logical ancillary step. Publishing a newsletter gives you the opportunity to increase awareness and understanding of your company and its products and services. Customers and prospects may have a limited perspective of what your company can offer if they only view your advertisements or receive promotional email. Newsletter content builds a broader picture. To encourage readers to find out more, add a call-to-action to encourage action and include links to more detailed information on your website. A newsletter can demonstrate your expertise and build confidence in your company as a potential supplier. Marketing consultancy PR20/20 notes that newsletter content that provides valuable information to customers and prospects helps to establish a company as an industry leader. To establish leadership, include articles that cover important issues in your market sector or share information on industry research. Provide details of any conferences where your company is making a presentation. You can use newsletters to promote products and services or launch new products. Including information on special offers helps reinforce the effect of your advertising and promotional campaigns. Running special offers exclusive to readers enhances the value to the newsletter. You can integrate newsletter content with other elements of a new product launch by including announcements and articles related to the product. Issuing newsletters at regular intervals – weekly, monthly or quarterly – helps you maintain contact with customers and prospects between purchases or sales calls. If you face a decision-making process that is long and complex, for example, you can use newsletters to communicate with all decision makers throughout the process. If customers buy your products or services infrequently, you can maintain contact between purchases so you build a strong relationship before the next sales opportunity. 1. To increase awareness. Your newsletter should give enough information to create awareness about what you are offering your customers. People should get a good idea of how it would be to deal with you, or to buy your products, so that when they leave, they will feel compelled to find out more. 2. Position your brand. You should create the best first impression about your products or services on your newsletter. Customers tend to use your marketing and communication tools to form an impression of your business. Newsletters are an extremely strong marketing tool to differentiate businesses from one another. 3. To get more business from current clients. A newsletter is an effective way to let clients know about your other services and show them how they can benefit from those services, without being “pushy”. 4. To get repeat business from former clients. People who used your services or bought your products once will purchase again–when they’re ready. A newsletter is a great way to stay in touch with them until they are. 5. To educate prospects. A newsletter that provides prospective clients with valuable information helps them make better decisions, allows you to demonstrate your expertise, and provides a mechanism for staying in touch with them until they are ready to hire you. 6. To generate word-of-mouth referrals. Newsletters have pass-along value. A good newsletter will be shared with an average of three other people, even more online. 7. To build your contact list. You can offer visitors to your website a subscription to your newsletter in return for providing their email (and other contact information). When speaking or networking, you can offer to send your newsletter to people who provide you with their business card. 8. To establish expertise and credibility. Your writing helps prospects, publishers, reporters, meeting planners, and referral sources see you as the expert you are. 9. To provide content for, and traffic to, your web site. Your newsletter can drive traffic to your website or blog. Your newsletter content can be re-used as content on your web site or blog, generating additional traffic from search engines and social media. 10. To shorten the sales process. People who respond to your newsletter are better informed about what you do and pre-sold on your ability to do it, in contrast to people who come to you via advertising. 11. To serve as a networking tool. Your newsletter is a tool to reach out to other professionals. You can interview them for an article, conduct a survey, ask them to write an article, or ask permission to put them on your mailing list. 12. To add value to your services. 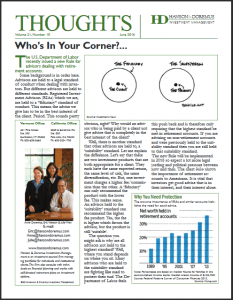 A newsletter can provide an added benefit for clients. Give clients “subscriptions” or added value to current services or discounts on products. Put a price tag on the newsletter but send it free to current clients. A newsletter requires an investment of time, and possibly some capital, but the return on that investment can be substantial. If you want to grow your business, a newsletter is one of the most highly leveraged marketing activities you can do. Since 1990, Paw Print & Mail has been the reliable and expert source for printing and mailing newsletters, nonprofit appeal campaigns, and B2B printed communications of all kinds for hundreds of businesses and organizations. Read our reviews or contact us to plan or produce your next project. 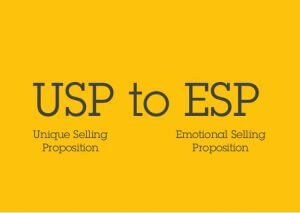 What’s your “emotional” selling proposition? What’s in a brand? To some, branding is company’s logo. To others it’s the product or service sold. Further, it could mean how, where, and with whom a brand is talked about or mentioned, and how readily a brand is referred to someone else. Neuromarketers and psychologists have found from various studies that 90 percent of what we do is driven by our unconscious minds. Yet marketing, branding, promotions and sales initiatives have always been targeted toward the conscious mind, meaning that we are wasting 90 percent of our efforts and budgets by appealing to only 10 percent of our customers’ decision triggers. Psychological relevance is manifest through words, offers, colors and projected values of a brand’s communications, iconology, marketing campaigns and so on. Even the fonts used in an ad can unconsciously influence our attitude and perceived value of a brand. As we align with people and brands that we believe have our same values, it is critical that all aspects of your promotions—the materials you use, incentives you offer and more—project the person and values most associated with your customers. The saying “people buy on emotion and rationalize with logic” has been around for a long time. If you were to stop and think about your buying experiences, whether personal or business, virtually all discretionary purchases are triggered by an emotional trigger at some point in the buying process. It could be the product color, trend, the seller’s stature or reputation, the feeling from an ad, the relationship or interaction of the salesperson, the need to act spontaneously, the satisfaction of being done with it, a sense of accomplishment… it’s endless. Without often realizing it, our subconscious is hard at work pushing buttons and flipping switches in our mind that lead to decisive thoughts and actions taken. In the typical sales and marketing strategy process, sooner or later we craft and arrive at defining our company or organization’s unique selling proposition (USP); that part of our business or organization that defines us. This is certainly a valuable rallying point, but if our subconscious drives 90 percent of what we do, and we generally buy on emotion, then might we be better served by crafting and defining an ESP (emotional selling proposition) instead? No marketer can truly deliver psychologically relevant experiences or communications without first understanding the ESP of its product category and then its own brand. It’s critical to put processes in place to monitor the changing attitudes and demands of consumers, and which emotions are behind most of their thoughts and actions. I recommend developing ESPs for your brand which address the emotional fulfillment you provide vs. just the tangible or physical aspects of your product or service. Once you define this value, you can develop ESPs for the various segments or personas associated with your category and brand. The ESP profiles should address the generational elements (e.g., different levels of trust and brand engagement from millennials to boomers; social influencers, such as authority; and the psychological triggers, like risk aversion; and how loss/rewards elements apply to your category). Taking this a step further, if buying is heavily influenced by emotion, it stands to reason people buy more and more often when they are happy! In keeping with the emotional triggers mentioned earlier, happiness can mean the ease of the buying experience, the friendliness of the seller, the problem your product solves, timeliness, choices and selection, problem resolution, return policy, how you answer the phone or greet the customer on the sales floor… and more. Developing ESPs vs. USPs is a powerful way to differentiate a brand. When you can assign an emotional value to a non-emotional product, you gain engagement, trust, and often a chance to talk to customers personally in order to spark a profitable relationship. Nothing is unique in any market anymore. The way to stand out in any market with any product is to deliver emotional fulfillment associated with purchases in a given industry. Are people anxious or nervous about making a purchasing mistake and thus jeopardizing their job security? Align your product with the confidence they need to succeed, and the fulfillment of the personal and professional goals they have, and you will stand out and beat any competitor. Author PPB-AdminPosted on July 15, 2016 July 15, 2016 Categories B2B Marketing, Branding, Sales StrategyTags differentiating your brand, people buy on emotion, the psychology of marketing, unique selling propositionLeave a comment on What’s your “emotional” selling proposition?